Jackson-Triggs is an important winery for Canada. The story begins back in 1989, when Dr Allan Jackson, who managed the Canadian wine company of brewer Labatt, joined forces with Donald Triggs, who’d previously worked with Labatt, to complete a management buyout of their Canadian wine operation. This became Cartier Wines, and it had operations in both Niagara and the Okanagan. Then, in 1993, they began a journey of expansion. They purchased Canada’s most famous winery, Inniskillin, to form Vincor International. Vincor went on a growth phase and purchased wineries in Canada and North America, and they were also in the wine distribution business. They became the fourth-largest wine company in the USA, but in 2006 they caught the eye of Constellation Brands, who purchased them in a hostile takeover for CA$1.5 billion. Vincor kept its name until 2012, when it was changed to Constellation. 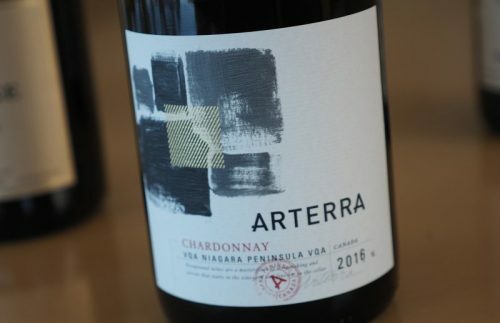 In 2016 Constellation Brands Canada was purchased by the Ontario Teachers’ Pension Fund for CA$1 billion, and changed its name to Arterra Wines Canada. In addition to Jackson-Triggs and Inniskillin, Arterra also own Stellar’s Jay, Sumac Ridge and Se Ya Later ranch, as well as 163 Wine Rack Stores which operate outside the LCBO monopoly in a grandfathered-in arrangement selling Canadian and blended wines. 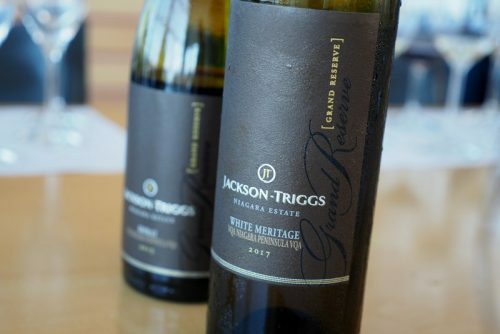 Indeed, Jackson-Triggs began life producing International Canadian Blends (ICBs; known at the time as wines Cellared in Canada, CICs). This commercially significant yet controversial category relies on blending together some Canadian wine with imported bulk wine to make an entry level product that provided a home for some of the region’s harvest (currently around 15 000 tons of Ontario grapes end up in these concoctions, and must form a quarter of the blend). They are controversial because they were made to look like Canadian wines; the rules have recently changed and ‘Canada’ will soon no longer be mentioned on the label of ICBs. But they will still be using brand names that consumers associate strongly with Canada. 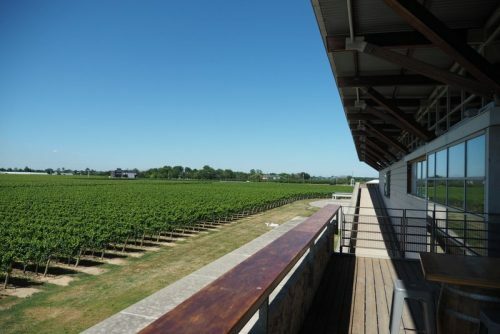 Arterra is Canada’s biggest wine company, some twice the size of its nearest competitor, Andrew Peller Wine Group. 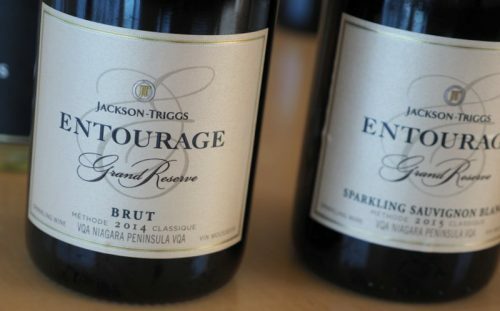 In 2000, Jackson Triggs decided to create a VQA brand, focusing on Niagara-grown grapes. This has since grown to a sizeable 200 000 case production. The winery here processes some 23 000 tons of grapes, with their own vineyards supplying around 20% of their needs. Sparkling, Sauvignon Blanc and Chardonnay are the main focus. We visited with Jackson-Triggs Ontario winemaker Marco Piccoli, who arrived here in 2005, when the VQA wines were at 80 000 cases. He’d worked at Bidoli,a small family-owned winery in Friuli, Italy from 1994 until 2000, when he quit to train as a winemaker. 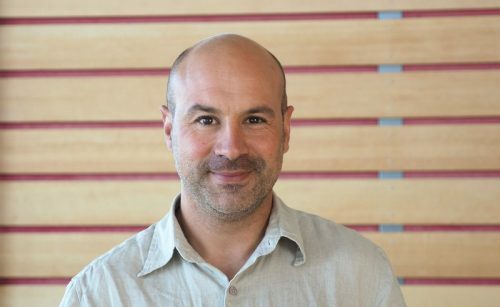 He got a scholarship to work with Luigi Bosca in Argentina, and also did a Masters degree in Germany, doing lots of work on viticulture. Piccoli then travelled, and during one of these trips he ended up in Niagara, and met Don Ziraldo, one of the founders of Inniskillin. Ziraldo hired him, and he’s still here now.